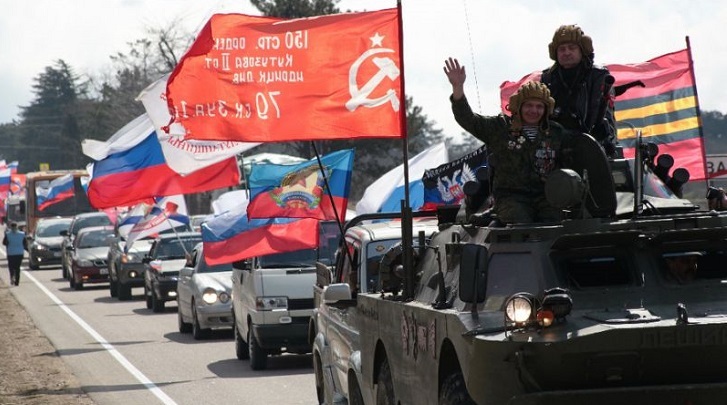 Russian flags flew across Crimea's main city Simferopol on Monday to mark the fifth anniversary of the peninsula's annexation from Ukraine, a move condemned by the West but celebrated by most Russians. President Vladimir Putin was to take part in celebrations in the Black Sea peninsula, launching a new power station and meeting members of the public, the Kremlin said. In Russia, March 18 has been officially proclaimed the "Day of Crimea's Reunification with Russia" and celebrated with events across the country. In Crimea, it is a public holiday. Authorities set up a stage on Simferopol's main square for the celebrations. Posters that read "Five years of Crimea returning to its native land" hung on shop windows and public transport. Crimean Marina Tishchenko said that if the peninsula held a referendum today, "even more people would vote to join Russia". Putin signed an agreement on March 18, 2014, with local representatives to make Crimea part of Russia, two days after a referendum condemned by Kiev and the West as illegitimate. The takeover prompted euphoria and a wave of patriotism in Russia, but five years later Crimea has "stopped being a source of political benefit" for authorities, liberal newspaper Novaya Gazeta said. According to a survey published by the Centre for Public Opinion (FOM) in early March, only 39 percent of Russians believe the annexation brought Russia more good than harm. In 2014, that figure was 67 percent. Ukrainian President Petro Poroshenko, who is facing a difficult election this month, vowed that Crimea would return to Ukraine if he was re-elected. Kiev's Foreign Minister Pavlo Klimkin told AFP ahead of the anniversary that the Russian annexation had left Crimea in limbo.